TAKE THE MEASUREMENT. KNOW YOUR CONDITION. TUNE YOUR TRAINING. 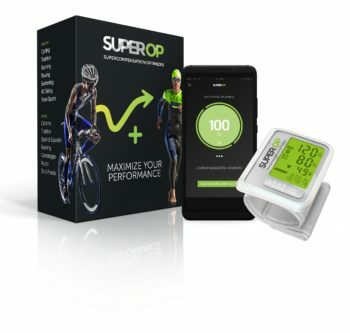 Through one only measurement a day of your pulse and blood pressure at the wake up, SUPEROPdetermines your Organic Readiness to a new training load in a range from 0% to 100%. So you can modulate your workout intensity and duration according to your condition to always get the maximum improvement from your body. If you have a Coach, share the SUPEROP data to optimize your training program and get you to the next level! In the morning, before getting up, put on the SUPEROP wrist monitor. 2Measure your blood pressure and heart rate in only 60 seconds. View your Readiness (from 0 to 100) to benefit from a new training load. 4Increase or decrease the intensity and/or the quantity of your training according to your Readiness.